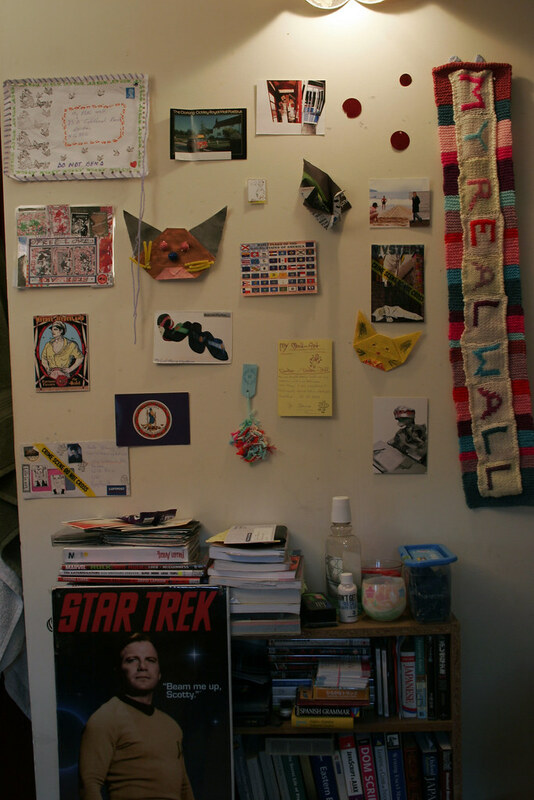 my REAL wall – 22 September 2009 – Tweets on paper, originally uploaded by andytgeezer. my REAL wall – 16 September 2009 – The birds have arrived, originally uploaded by andytgeezer. My girlfriend has taken up Origami in a big way lately. 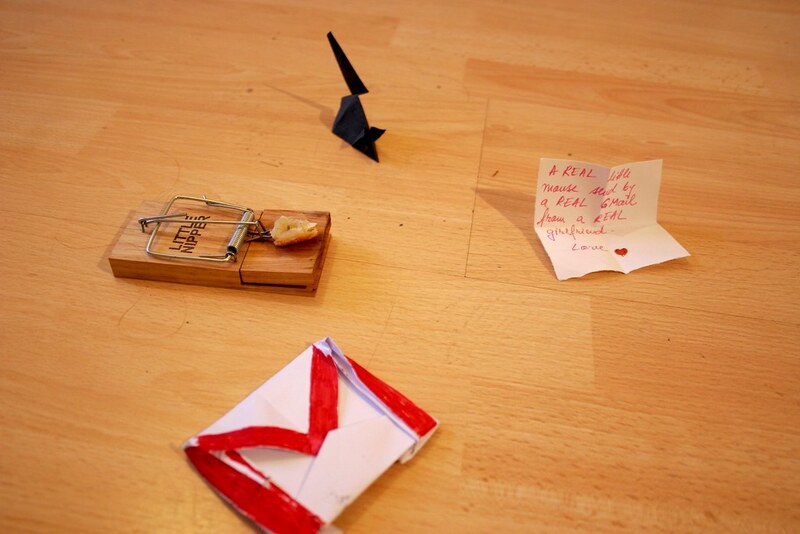 She knows that there’s nothing I love more than when the internet and REAL life come together, and she also has to put up with me going on and on about how much I love Gmail, so she decided to send me a REAL Gmail that she made herself. 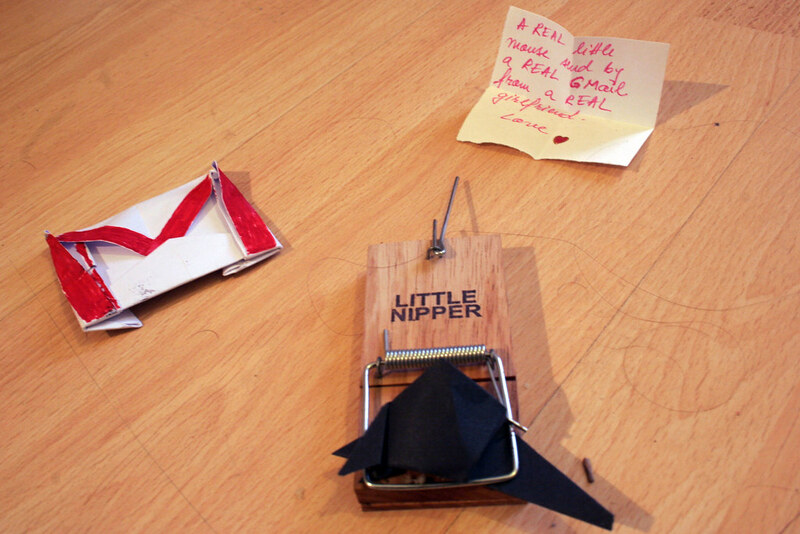 We have had a mouse problem in our house lately, but no bodies have appeared lately in the moustrap. Elena and me check every morning, but it’s been about a month since we saw anything, so Elena made me a mouse out of paper, which I dropped in to the trap for my own sadistic amusement. These are some of my favorites I’ve gotten since joining Swapbot. Lots of artsy stuff! Some are ad cards (which I think are waaay cool), and one of them (third from the left on the top row) was designed by a girl in Belfast. The one you (Andy) sent me is the furthest left on the bottom. I love it! Thank you! 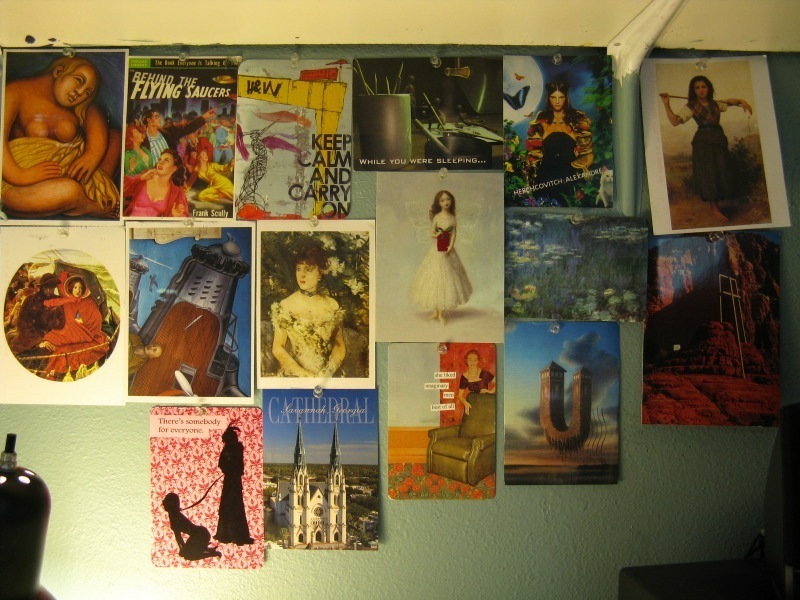 my REAL wall – September 10, 2009 – Swapbots taking over, originally uploaded by andytgeezer. 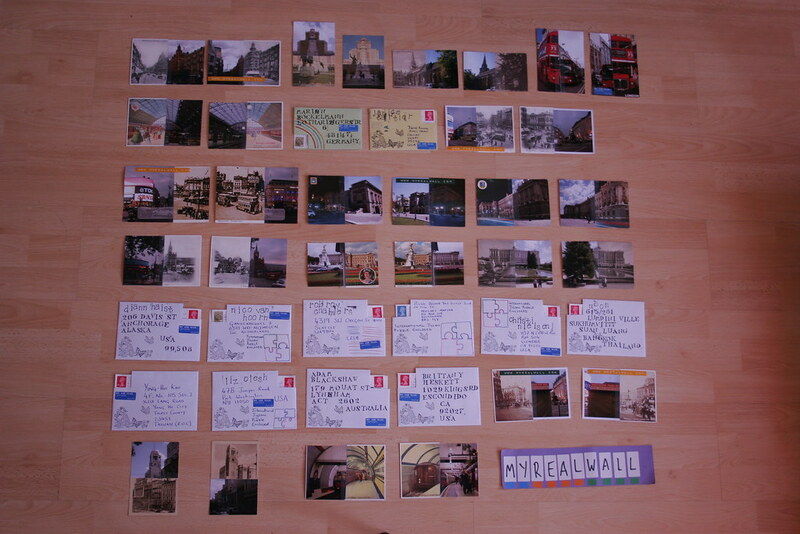 I’ve been in a load of postcard swaps on www.swap-bot.com lately after discovering it on Girlzootzilla‘s blog. 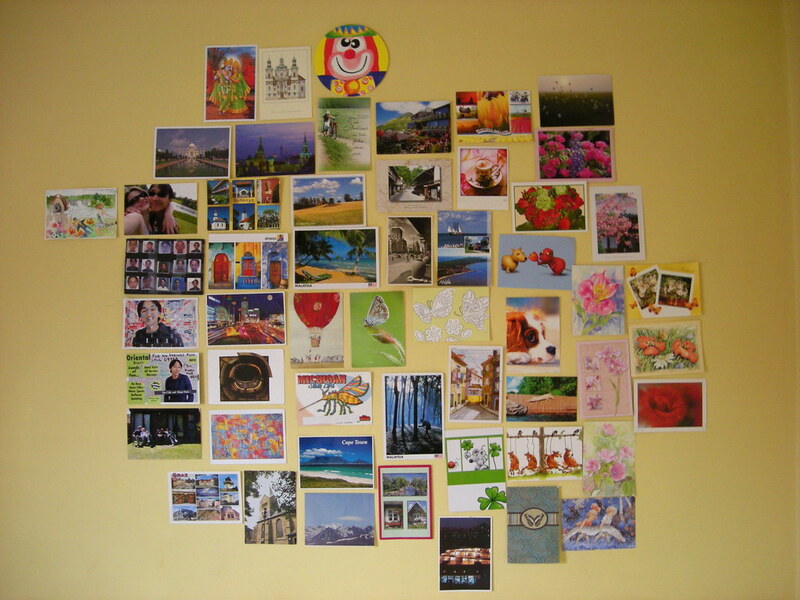 Today’s wall features postcards from the recent Fag swap and show me your country. Also of note is the 2nd and 3rd pimped photos for my Pimp my photos mailart call, showing my pals Alex and Valentina pimiped by Lorraine Kwan and Dumpsterdiversanonymous and a #mailart piece from @celci which arrived nearly 2 months after it was postmarked! 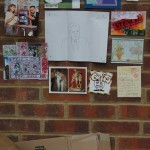 Also featuring post from Obviousfront and origami from Elena, who is rapidly turning into a mailartist. I've been writing postcards to a friend, codenamed My Little Pony, in Kuwait for about 5 years. 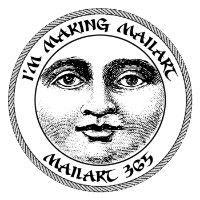 She now lives in Malaysia and, unbeknownst to me, she's been saving all my postcards over the years. 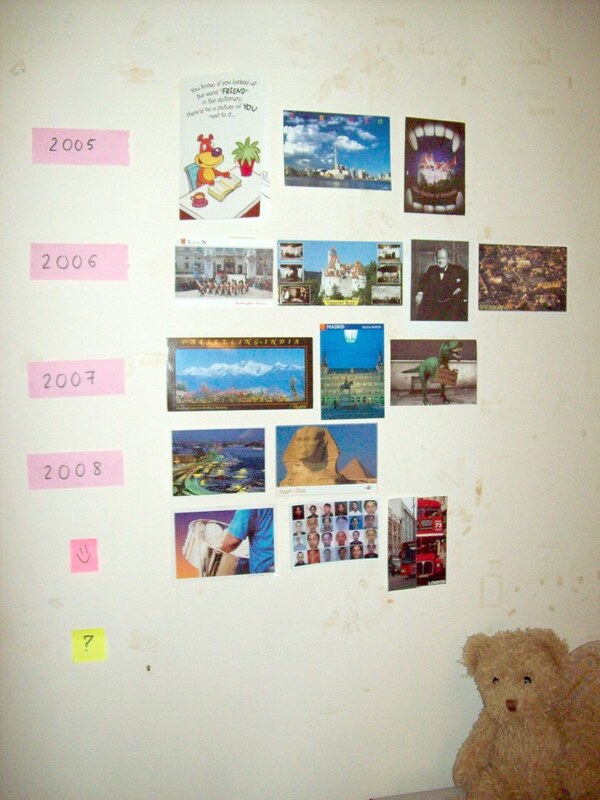 Just yesterday, she sent me a pic of all the postcards I've ever sent her, pasted on her wall in chronological order. Another neat addition to your REAL wall. 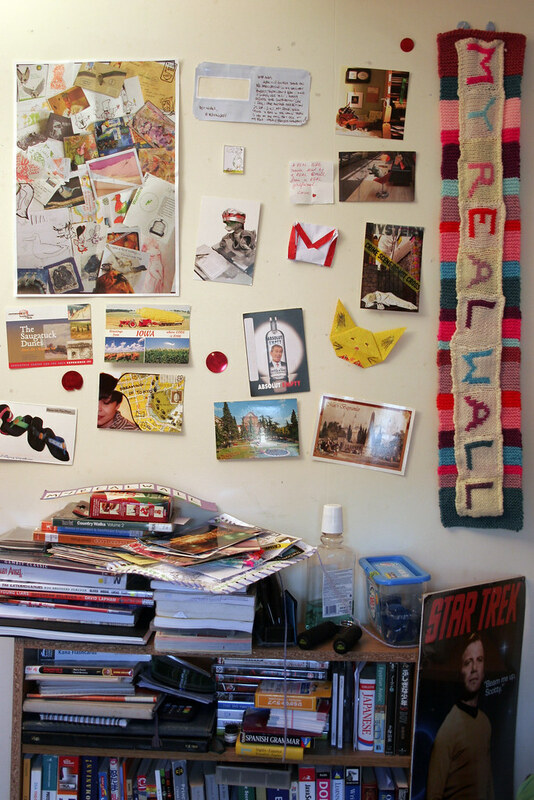 my REAL wall – All Sent Twitter Art, originally uploaded by andytgeezer. 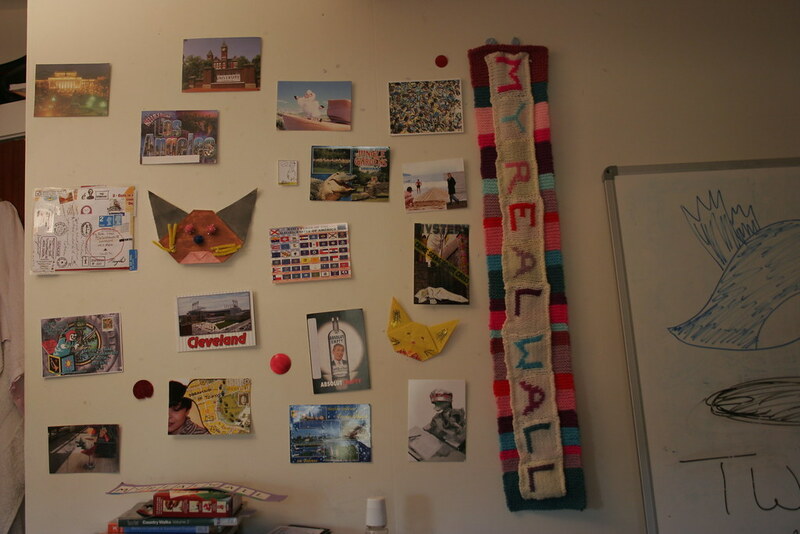 my REAL wall – 1 September 2009 – Pimp my photos and swap-bot, originally uploaded by andytgeezer. 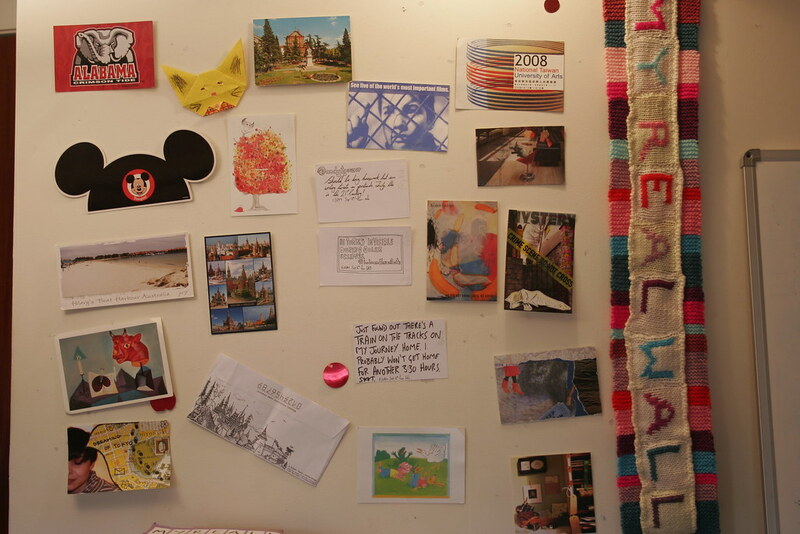 The first my REAL wall to feature postcards from my new mailart call – pimp my photos! The one from Ilona is an absolute classic, featuring Elena in a gory murder scene dressed as a clown with a moustache, and Lorraine from Vancouver has heard word from my mate Alex that she wants to go to Mexico next year in her pimp up. Also included are my first ever cards received from swap-bot.com, for the flags swap, as well as my first ever origami pieces from Elena. 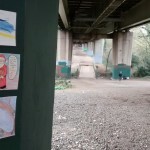 Also big shout out to Test Tower and Wildpostcards for your contributions on this wall. Big REAL love to all of you!